Three Ghost Friends: Three Ghost Friends Balloons! 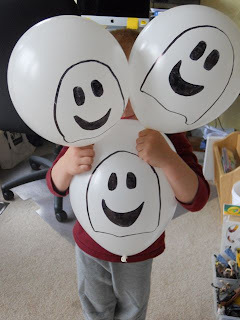 This may have been one of the simplest Three Ghost Friends activities I have done with my children, but that doesn't mean it wasn't fun! 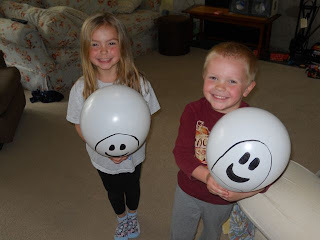 I drew the Three Ghost Friends on three white balloons with a black Sharpie. 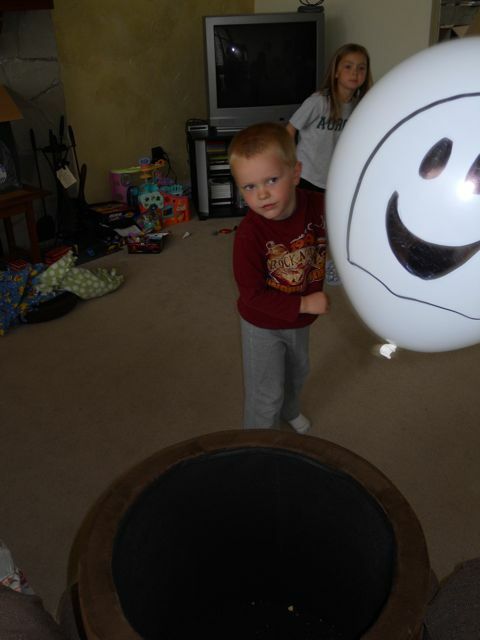 I told them to come up with a game that we all could play using the three balloons. Their first idea was to work together to keep the balloons from touching the ground. They were successful keeping the balloons in the air for 15 seconds, then 20 seconds! 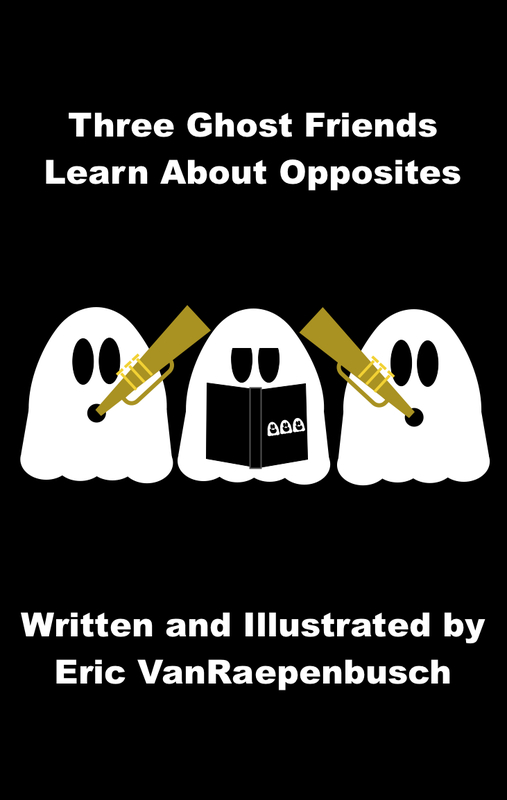 Two of my "ghost friends"! It was fun watching my youngest try to hit the balloon too! Their second idea was to play balloon basketball. Our ottoman made for a perfect hoop. It was harder than we thought it would be. The more we played the more they created ideas. 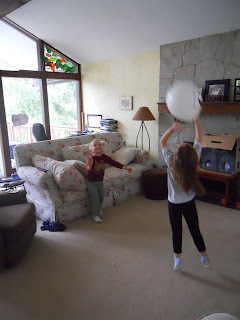 They tried keeping the balloons aloft without using their arms. 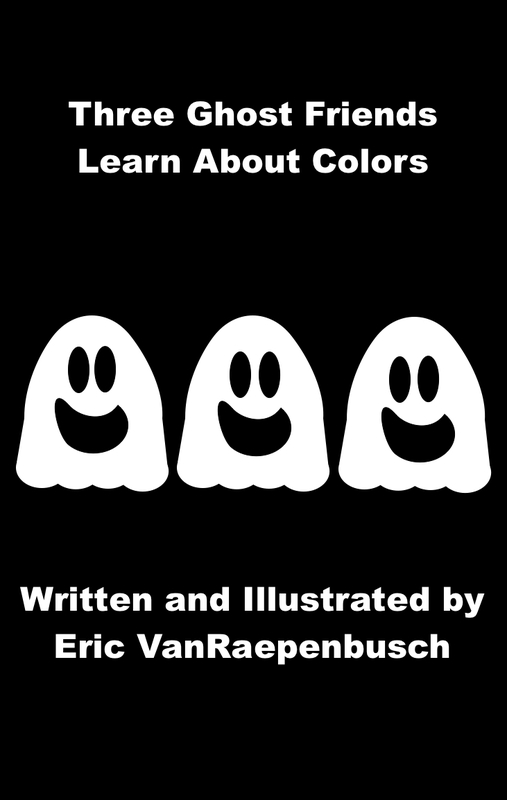 They wished we had colored balloons to make red-blue-yellow-purple-green-orange-Three Ghost Friends like in Three Ghost Friends: Learn About Colors. 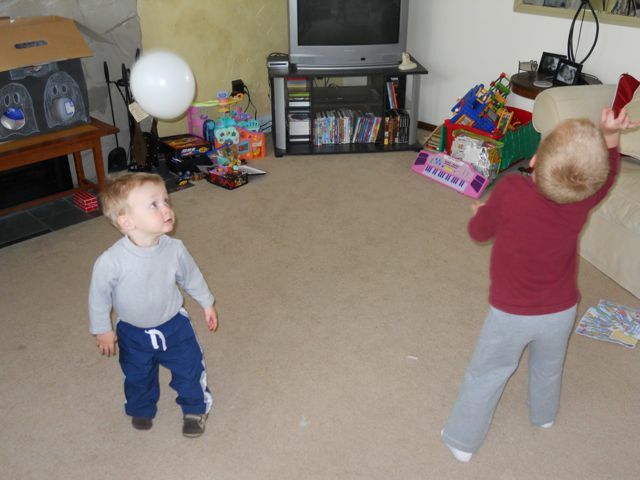 They wanted to be able to call out colors for their younger brother to try to catch! 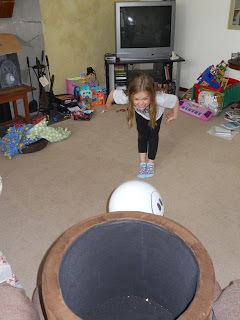 I love activities like this -- just give the kids the materials and they come up with ideas!